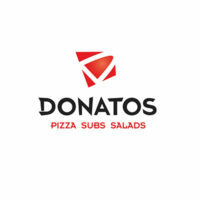 Donatos Pizza is a family-owned restaurant chain that is mostly known for its pizza. It has around 200 branches in eight states with its main office located in Gahanna, Ohio. Jim Grote purchased the original Donatos Pizza for $1300 in 1963. Since then, the restaurant carried its goals with the principle of serving the best pizza to customers. With its more than 4500 employees, Donatos Pizza was able to reach $162 million gross sales. Its employees take the initiative in their work because of the values and ethics deeply rooted in them. The restaurant provides its employees with benefit packages. These include retirement plans, healthcare assistance, disability coverage, insurance, and employee discounts. Employees can work efficiently without having to take their personal life for granted. The flexible schedules and paid trainings given to the workers enable them to balance their work and personal life well. How old do you have to be to work at Donatos Pizza? Job applicants are expected to be 16 years old or above for them to work at Donatos Pizza. Delivery Driver: This person is responsible for delivering the customers’ orders. The delivery driver makes sure that the orders arrive on time and in good condition. General Manager: This person makes sure that the operations of the restaurant are running smoothly. The manager supervises the employees and deals with customer complaints. Assistant Cook: This person helps the head chef in preparing the orders of the customers. The assistant also cleans up the cooking zone and the cooking equipment used. Order Taker: This person serves the food and beverages to customers. The order taker is also expected to help in cleaning up the restaurant. The restaurant offers other entry-level and professional job positions like restaurant associate, hourly associate, shift manager, and field marketing manager. The restaurant provides a list of job opportunities in its website. After clicking the apply button, the applicant will be asked to create a user profile to proceed with the application process. It is crucial to fill out all required fields. The company makes use of both online and personal application, but the online application is more convenient in the part of the restaurant and applicant since the hiring process is faster. Entry-level jobs do not require much educational background. The hiring manager will focus more on the skills of the applicant in handling customers and being flexible in the job. The resume should emphasize the skills and strengths of the applicant on his/her past job experiences. The experiences, however, should be related to the current job that he/she is applying to. The applicant must clearly state why he/she chose to work in this restaurant. He must tell the hiring manager the things that make their restaurant perfectly fit him and his skills and qualifications. The restaurant takes active participation in different advocacies of different organizations. Fundraising activities are a way for the company to give back to the community. The fundraising events are only available in Ohio, Kentucky, and Indiana. Organizations who are interested can inquire in the branches in these places. The restaurant must be notified two weeks before the actual fundraising day. Schools, youth groups, churches and community groups are always welcome to avail of the restaurant’s program. Aside from this, a food truck can be booked for any events. The owner’s principle of treating the people the way you want them to treat you has contributed a lot to the restaurant’s success. The community is a huge factor in the growth of the business.